Activate Event Management has acquired the event management arm of The Conference People. The deal sees Activate diversify its client base from primarily pharmaceutical, to include the IT and publishing sectors. Horsham-based Activate Event Management has now grown to ten employees, after three of The Conference People’s events management staff moved to the agency. Activate managing director Paul Bowie said following the takeover – agreed with The Conference People managing director Robert Enefer in July – he hoped the coming year would see the agency grow turnover by up to 40%. "It has already increased our turnover straight away by around 20%, and I hope in the coming year that would be more like 30-40%," said Bowie. "It has been a good way to grow our business and it has brought more diversity [of clients]." Bowie launched Activate in January 2012, after working as managing director at Genesis Adoration, which was liquidated in February 2012. 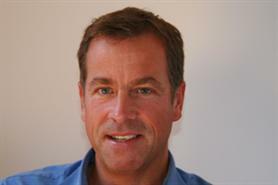 He was previously managing director at W&O Events, which he left in December 2010. The Conference People will now focus on its core business as a venue finding agency and will continue to manage its wholly-owned Social Marketing Conference series. Enefer said: "This strategic sale will allow The Conference People to dedicate itself to the highly successful UK, European and World Social Marketing Conference series."